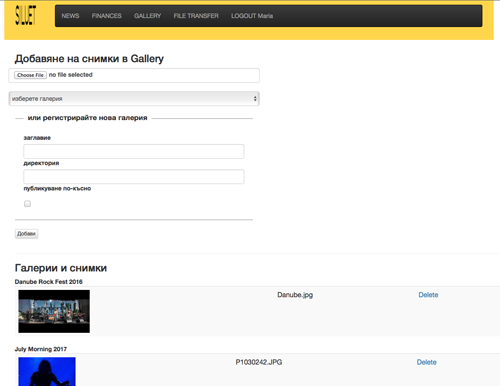 At the back end I've made custom type Rooms, with some additional fields like photo gallery and status. I used for that Advanced Custom Fields Plugin Pro from the repository. 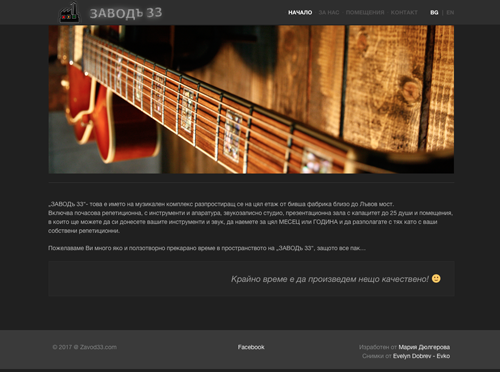 Zavod33.com is a multilingual (bulgarian and english). I used qTranslate-X and Po-edit for that purpose. GoogleBot Tracker is Back End WordPress plugin witch main goal it to write a log of all activities of the Google crawlers. It could trace the path of a particular bot and also to filter the records for a period of time. 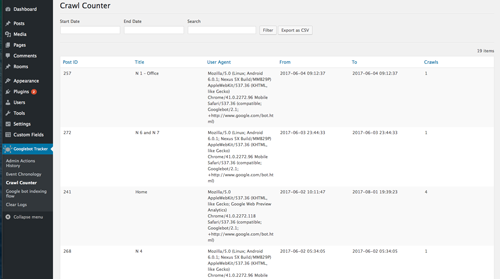 The other function of the GoogleBot Tracker is to record all the actions of the administrator, so it can be made the connections between these actions and the reactions of the search engines. TBI Credit is a WordPress plugin that extends WooCommerce's payment methods. 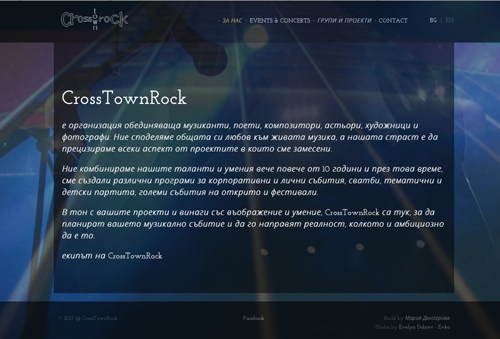 It is implemented in zigifly.com and there you could see the front end part of it. 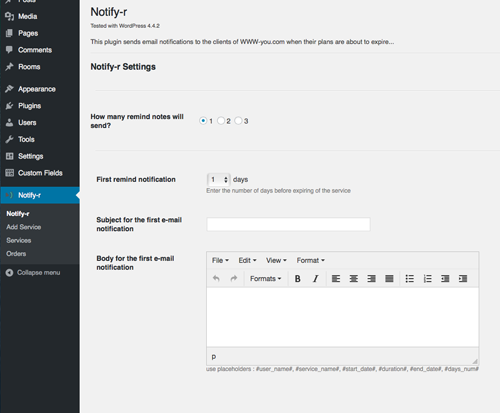 Notify-r sends email notifications to the clients of a service company when their plans are about to expire and offers different ways for paying the chosen service. The Traider can adjust the settings like the number on the remind messages, the text of the messages, the periods and payment methods. 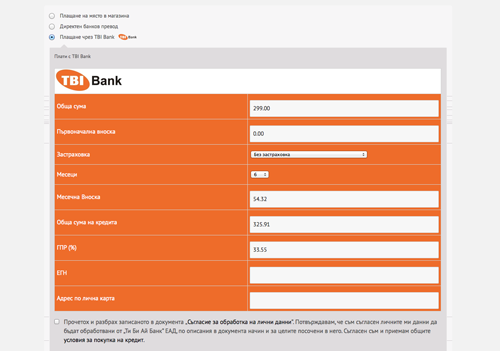 It has implemented the TBI Credit plugin. The Traider can also register the offered services (like hosting or web site maintenance), put prices for different periods, review the services and orders. The Customers can, after they get the remind messages, pay for the chosen service and pick the payment method including TBI Credit. 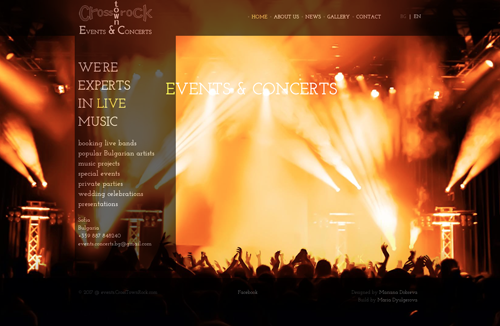 I developed it when working at www-you.com and this is the most complex site I've made. 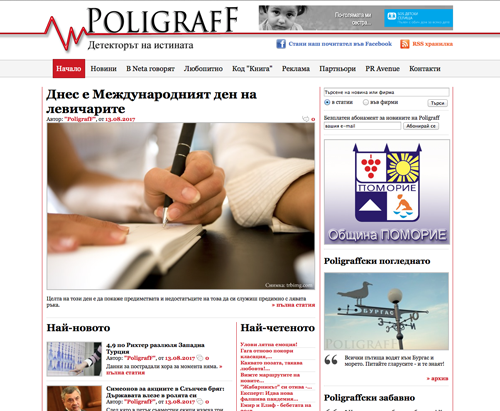 This is a news web site that I maintain and developed partly. It has been created originaly by others. 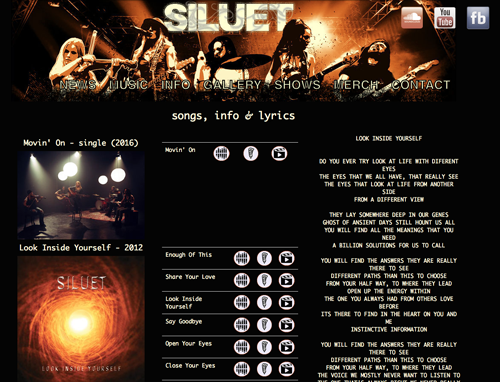 Here is collected the info, production and links of the R'n'R band SILUET.